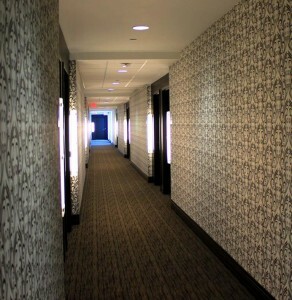 We are very proud of the depth of our company’s wallcovering experience. With some of the most talented hangers in the city, Perry Interiors has installed digital wallcoverings, wall murals, and stencils to name a few. -Rookwood Marriott –hung over 18,000 yards!